Here it is, coming very soon! 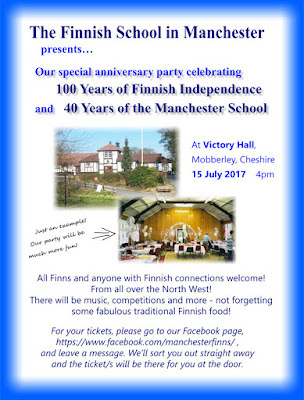 The time is near, for the Manchester Finnish School's big celebration of 40 years in existence. It's a helluva thing, when you think about it. Not so much the sheer length of time, because many clubs and societies and voluntary groups carry on for decades or even the odd century. 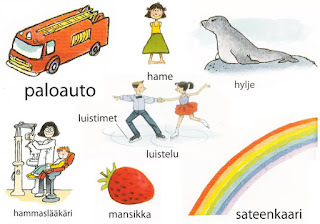 But it's an impressive status because it represents a very special continuity, of Finnish people in the North West and in Manchester in particular. 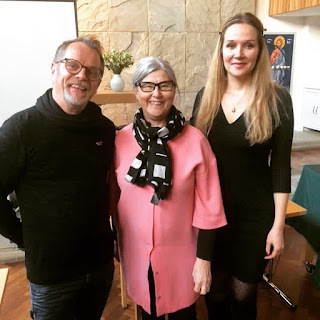 The first generation came here and set up the School in the Sixties, and many are still around - in fact, one is still teaching, brilliantly, and inspiring us all! 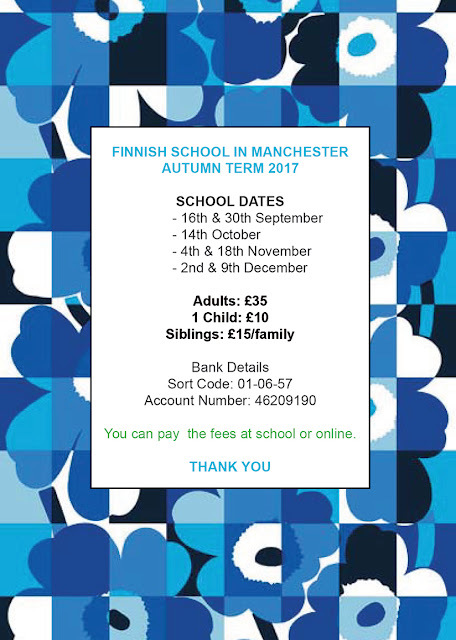 Many more have come to Manchester since; some have eventually gone back to Finland, but many have stayed for good (the craziest of all crazy Finns??). So, we're having a party. It will kick off with a few worthy words, some special awards and such, but the main aim is to celebrate with fun and good food. We certainly haven't forgotten the kids, either, there'll be lots of things for them as well. 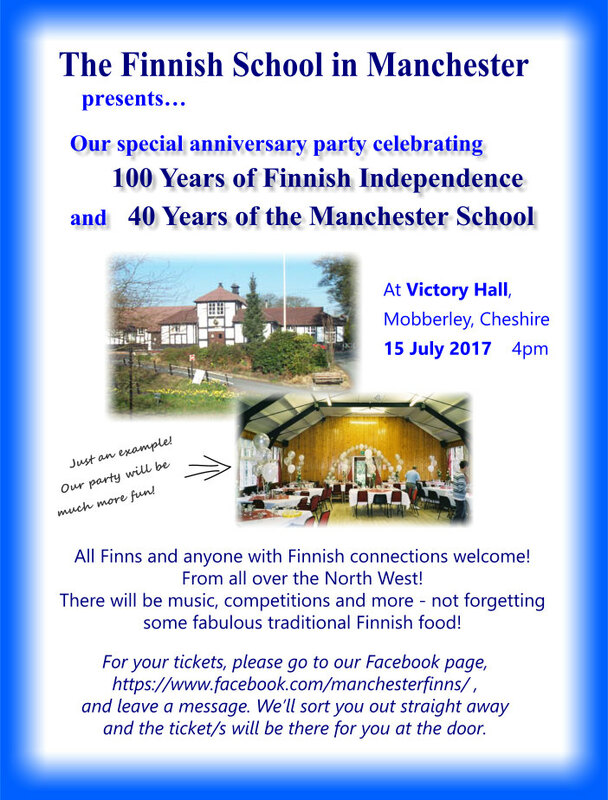 As the poster says, if you are in Manchester or anywhere in the North West on 15th July, if you're Finnish or have Finnish connections, you're welcome to join us. Tickets are numbered but we still have more to sell (I think), so get in touch via the Facebook page and someone will respond and fix you a ticket.